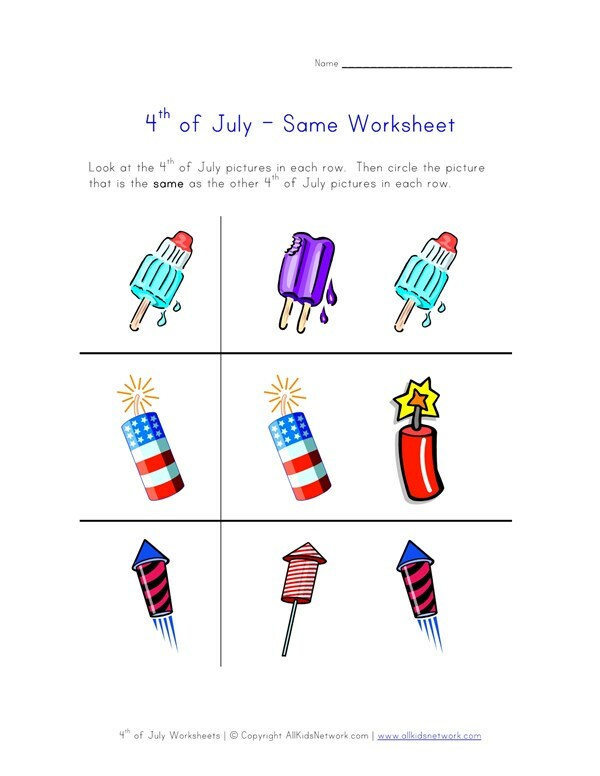 Try out this printable 4th of July themed worksheet designed for preschool age children to help teach them the concept of same. Kids are asked to look at the first 4th of July picture in each row and identify the picture in the row that is the same. This 4th of July themed printable makes a great addition to any preschool lesson plan.